Horse hoof abscess can be one of the scariest things a horse owner may witness. One day the owner walks into the stable to visit his beloved horse and behold... the horse appears lame, refusing to place any weight on a specific leg. The owner tries to walk him a bit and meets with minimal or zero success; often the horse responds as if you asked him to walk on a broken leg! If this ever happens to you the first thing to remember is don't panic. Chances are your horse's leg is fine and the problem exists within his hoof... a problem that is painful as heck for the horse, but almost always clears itself out without health risks or long-term damage. Let's first take a look at what an abscess is. The sole being pierced by a sharp object such as a nail. 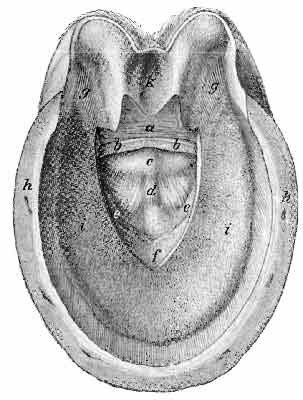 The hoof wall cracks (generally due to improper trimming or hoof neglect), thereby allowing a piece of gravel to enter and become ingrained within the sensitive tissue above the sole (the laminae). Damage is done to the corium due to factors such as decreased blood circulation from shoes, poor horse shoeing and/or trimming, etc. Such damage has often existed internally for a while and only starts being released when a horse is allowed barefoot and thereby sees increased circulation. Other less common factors can cause a hoof abscess, and sometimes due to the location of the abscess the cause or point of origin won't even be able to be detected. When your horse develops an abscess what happens is purulent fluid (pus) collects as the body fights off the source of the infection. Since the hoof cannot expand to accommodate the increasing collection of pus, the increased pressure within the hoof causes a great degree of pain - so who can blame your horse for not wanting to walk on such a foot? The pus will attempt to escape via the easiest path within the hoof, which most often is the coronary band. If a hoof wall is weakened or contains a crack it's possible for the abscess to develop there instead. Once the abscess drains the pus from the horse's hoof, the infection generally ends and your horse becomes just fine. While an abscess can heal on its own, I do not recommend allowing it to do so as an abscess can be incredibly painful for your horse and without human intervention the healing process will take significantly longer. Once you have determined your horse likely has a hoof abscess place a call to an expert (a veterinarian or blacksmith – just make sure they are familiar with how to handle abscesses). In most cases the expert will test the hoof to detect the point of origin, then cut a small hole to allow the fluid to drain quicker. Sometimes if the infection cannot be isolated, or is caught too deeply in the hoof, the expert will not cut the hoof since cutting away too much can do far more harm than good. Luckily most abscesses can successfully be expedited. After your hired expert has diagnosed the problem and provided whatever remedy he could, you will need to keep the sensitive hoof as clean and protected as possible. It's recommended you soak the hoof (many use water with a touch of apple cider vinegar) and clean the infected area thoroughly before covering the small drill hole with cotton or bandages. You want to ensure dirt and manure cannot find their way into the hole and sensitive tissues. Remember to soak the hoof with the water and cider vinegar solution once daily until the abscess appears to have drained completely. Since exercise increases blood circulation, taking your horse for a walk daily can also speed up the draining process… not that your horse will be thrilled with the prospect at first! If your horse is generally shod and then is allowed to go barefoot he will have an increased chance of developing an abscess since the hoof has likely been weakened depending on how long the horse has been shoed. In addition shod horses are more likely to develop an abscess due to the nail holes, etc. As a side note, I rarely shod my horses since I believe natural hooves are far healthier in the long run. Not once has any of my horses become afflicted with an abscess. If your horse develops multiple abscesses you may want to reevaluate whether shoes are best for your horse or whether your farrier is skilled enough to keep your horse's hooves healthy. An improperly trimmed hoof can cause significant damage beyond "simple" abscesses. While an abscess can be painful for a horse (and thus painful for us as we empathize with him), as long as you act promptly then chances are the healing process can be expedited and resolved relatively quickly.